Background story: Tracing their history from ancient times to today, raisins and dried fruits have a delicious and colorful story to tell; including their place on the dining tables of royalty and the original “Sun-Maid Girl” who brought these foods into generations of homes and hearts. From field to table: The journey begins with family farmers who immigrated to California beginning over 100 years ago, and continuing to today. These grape growers utilize sustainable natural resources of sun, soil, and water and are constantly improving their farming practices. Since 1912, Sun-Maid has marketed and distributed their natural sun-dried raisins to the kitchens and tables of American families and the world for enjoyment in a culturally diverse assortment of festivals and holidays, and everyday breakfast, lunch, snack, and dinner occasions. 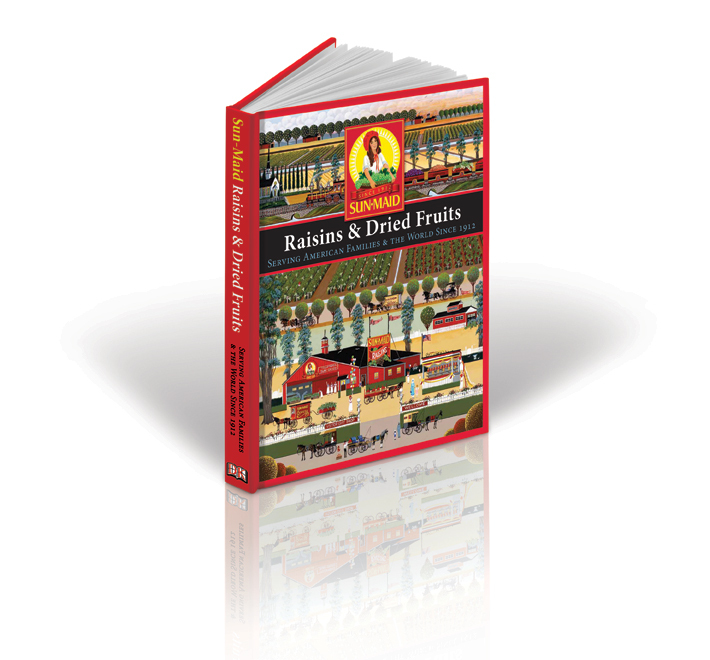 Their many uses: The collection of more than 50 favorite recipes featuring raisins and dried fruits was gathered from culinary experts across the globe—cookbooks, food magazines, food manufacturers—and 100 years of Sun-Maid recipe books. The universal appeal of raisins and dried fruits continues to expand, as the message that dried fruits are nutritionally equivalent to fresh fruits gains support from health researchers worldwide.